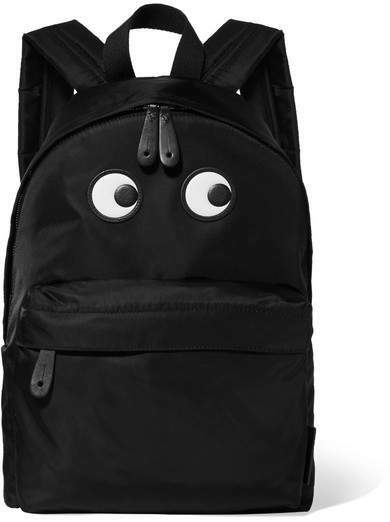 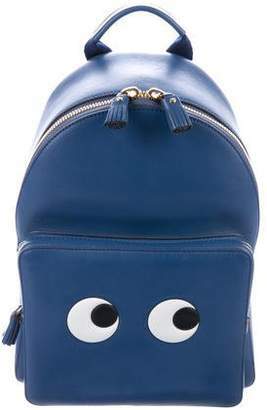 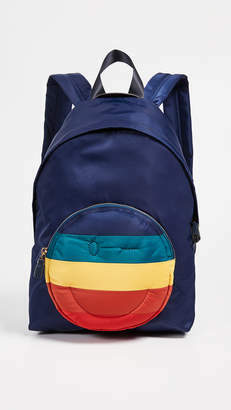 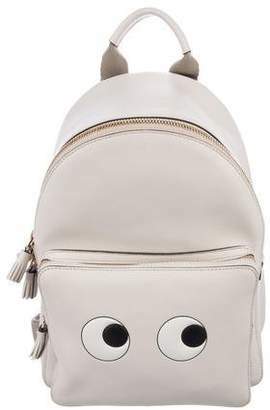 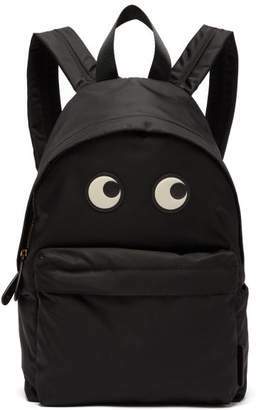 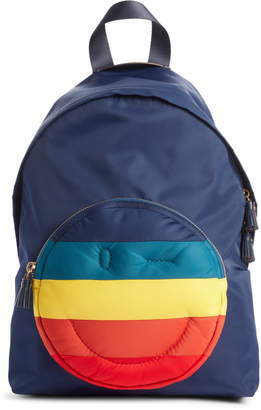 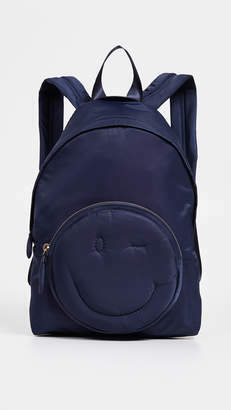 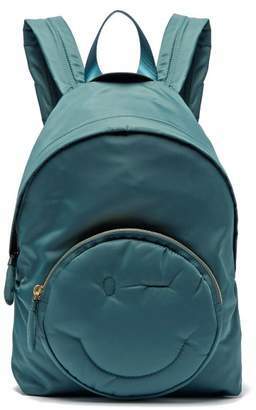 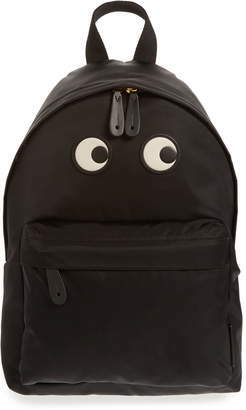 The playful eyes on Anya Hindmarch's backpack are made from textured-leather to match the zip pull and trims. 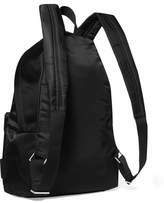 This durable black shell accessory is roomy enough for your tablet, diary and spare pair of flats. 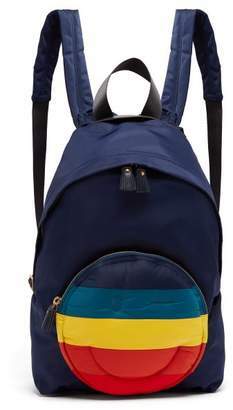 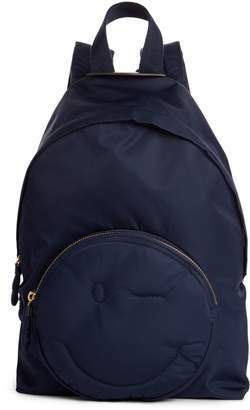 Carry it by the adjustable padded straps or top handle.